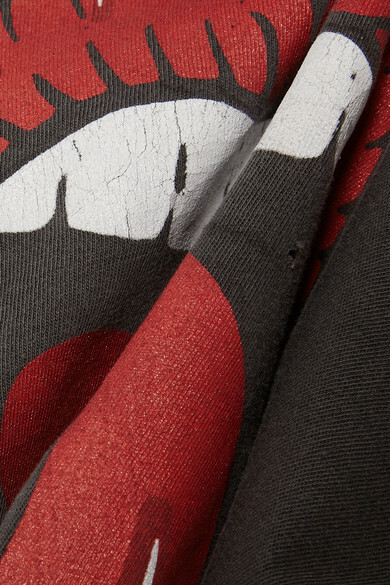 LA-based designer Blaine Halvorson founded MadeWorn in 2013 with a focus on discovering the story behind iconic music imagery. 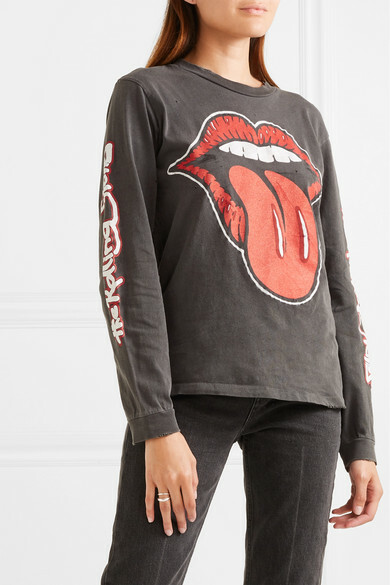 One of the most recognizable images in the industry, Rolling Stones' tongue logo, which first debuted in 1970 and said to resemble lead singer Mick Jagger's lips, is printed on this top. 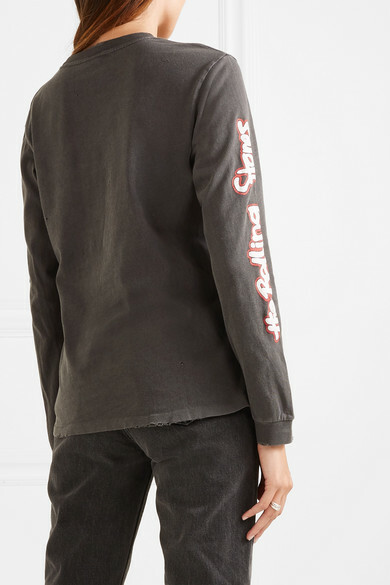 It's made from soft cotton-jersey and distressed and washed for the feel of the perfect vintage find. 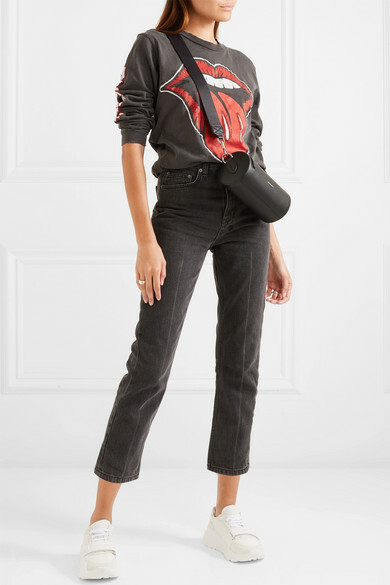 Shown here with: Ksubi Jeans, Burberry Shoulder bag, Burberry Sneakers.